The bathroom decor becomes increasingly important. Discover the latest trends and must-have! Forget about cramped and messy bathrooms. In 2016, the bathroom becomes the “holy” space of the house, in which you take care of yourself and where the modern furniture is the protagonist. The trend of this year is the choice of very large, one-party and without strips tiles. Even the choice of the parquet in the bathroom and the selection of colors such as brown, black or white are trendy ideas. Great importance should be given to every decor element in the bathroom in order to give a sense of originality and unicity to the 2016 bathroom: here 10 recommended ideas designed for you. Adhesive accessories. As mentioned before, great care should be given to the choices of tiles that are set in the bathroom and preferably are large, beautiful and made of porcelain gras. 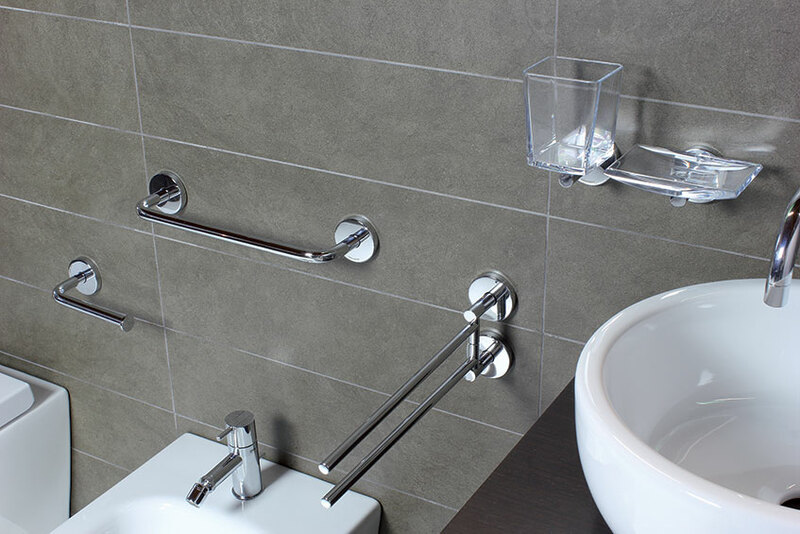 If you don’t want to make a hole in the tiles, an alternative solution to install towel rails, soap dish, etc exists: you can choose among a series of adhesive accessories, which, as the term suggests, can be simply applied with a 3M adhesive. Besides the innovative design, the particular symmetries and the combinations of colors of the products, Koh-I-Noor is well known for the quality of the materials used (stainless steel chromed). These products are easy to assemble and you can create funny games lines between the decor elements, the mirrors, the soap dish and the towel rails, and then you can change them every time, at your convenience. Bathroom mirrors with LEDs. 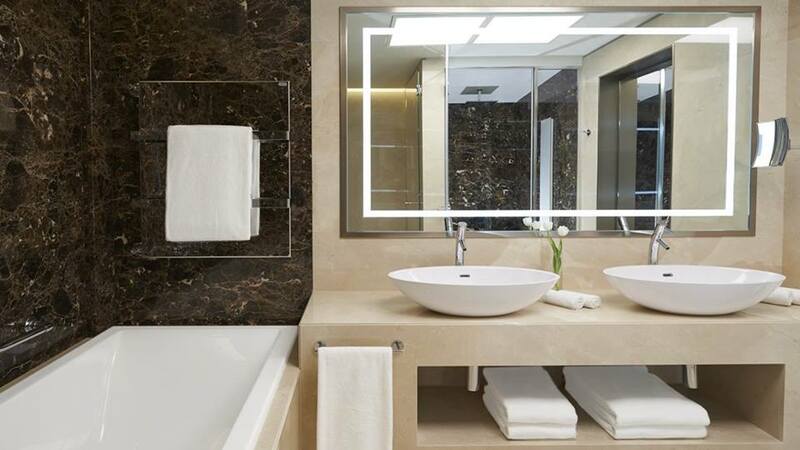 Which of the bathroom decor elements is more important than mirror? 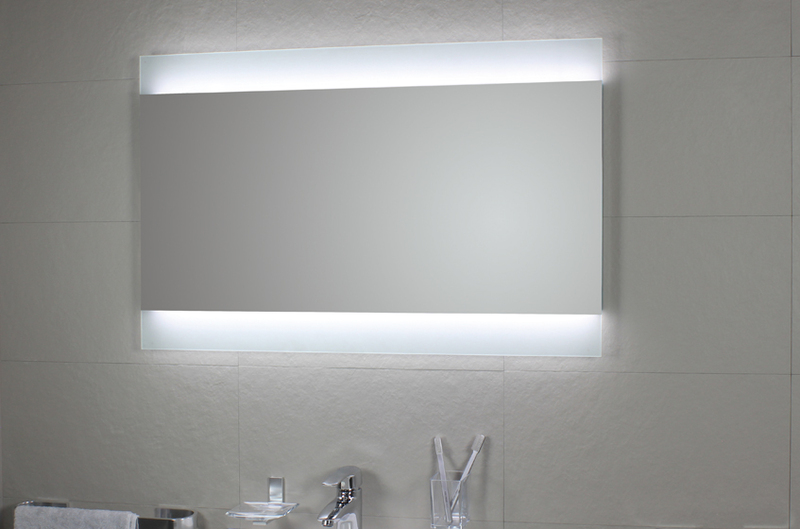 The unicity is represented by the combination of functionality and design: square, rectangular, round or diamond-shaped, the mirrors of Koh-I-Noor (available online) are produced in more than 50 sizes to be fitted to the size of each floor and they include LED lights that allow an ideal focus on your face. They can also be equipped with socket kit + switch and anti-fog kit. Not only shapes and sizes can be customized: the lights can be placed on one, two or three sides, on the top or laterally at your convenience. Magnifying mirror. For a perfect make-up, the optimal solution are magnifying mirrors, that can be also applied to the wall with double arm. This type of mirror is the ideal solution for a modern bathroom and allows magnifications of different depths. Moreover, it is available in different forms, it has a chromed frame and its lens can be easily changed. Bath seats and towel rails at the same time. Can you imagine a unique element that combines two functions in one? Koh-I-Noor, for example, has created a comfortable bath seat width 43 cm which can be used as a towel rail at the same time It is available in different geometric forms and white color and it is perfect for a minimalist bathroom style. Storage compartment. Have you ever thought to put a picture in your bathroom? Well… on the market you can find storage compartments that remind abstract artwork … you can comfortably put in brushes, makeup brushes (even magazines), always having them at hand, with the advantage of obtaining a refined aesthetic effect! Those of Tooler line of Koh-I-Noor have a polished aluminum frame that encloses a colorful canvas that is combined with different shapes. They are available in three different sizes. Ecopelle storage box. It is another top trend of this year: the positioning of a tray in the bathroom can be useful to place soap dispensers, hairbrushes and other items. Paying attention to materials and color is important: Koh-i-noor ecopelle storage boxes are available in different colors, such as red, cream, brown, black and orange and are ideal to give a sense of elegance and vivacity to a nice and modern bathroom. Rotating storage mirror. It is a valid alternative to the cabinet and the wall, this Koh-I-Noor product is suitable for small rooms. The front mirror allows to see you entirely and due to its depth, you can put a lot of objects inside it. It is made of stainless steel and it is an elegant and practical solution for your bathroom. Shower curtains instead of shower enclosures. Small bathtubs become fashionable again, while showers are increasingly large and spacious. Every year the choice of a shower or a superstructures for the bathtub becomes even more difficult: why don’t opt for a shower curtain? It is elegant and it is available in different colors, such as white, silver or gold. The shower curtains are easy to implement, replace and can be made of antibacterial and water-repellent materials. Equipped stands. An alternative solution that combines modern design with space saving is the equipped stand Akka, a structure based on a squared tube with a system of concentric It is available in different models and it can be combined with a tray on which you can install glass, dispenser and soap dish. Reversible textile. It is the right product for your bathroom, that gives a sense of elegance to the room. It is colorful, the same color of the other accessories, 100% cotton for maximum comfort and reversible on both sides. You can buy it on Koh-I-Noor website.